Lanthanide-doped upconversion materials have great potential for applications such as fluorescence labels for in vitro bioimaging, as lighting sources in optical devices or as up-shifting layers in solar cells. These materials absorb light in the near infrared (NIR) spectral region (typically at ca. 980 nm) and emit light in the visible range. The structure of the luminescence spectrum strongly depends on the composition of the upconversion material as well as on the excitation intensity. 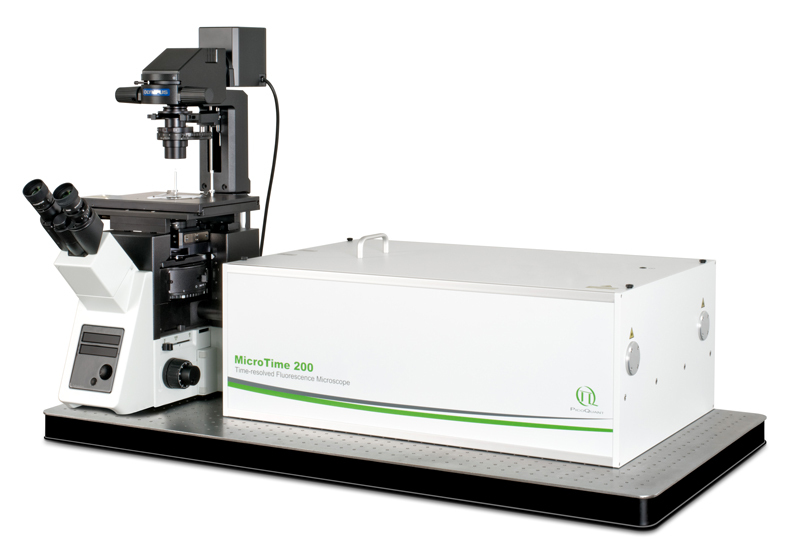 The FluoTime 300 spectrometer can achieve very high spectral resolution along with outstanding stray light rejection when equipped with double monochromators in both excitation and emission pathways. This configuration is therefore well suited to measure the rather weak upconversion luminescence from these highly scattering samples. 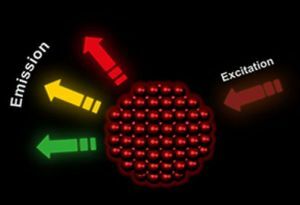 The upconversion luminescence kinetics of lanthanide-doped materials can range from nanoseconds to milliseconds. Thus the FluoTime 300 spectrometer is ideally suited to study these materials as it can cover time spans from a few picoseconds to several seconds by using either Time-Correlated Single Photon Counting (TCSPC) or Multi-Channel Scaling (MCS). The FluoTime 300 photoluminescence spectrometer could be used to study lanthanide-doped materials. 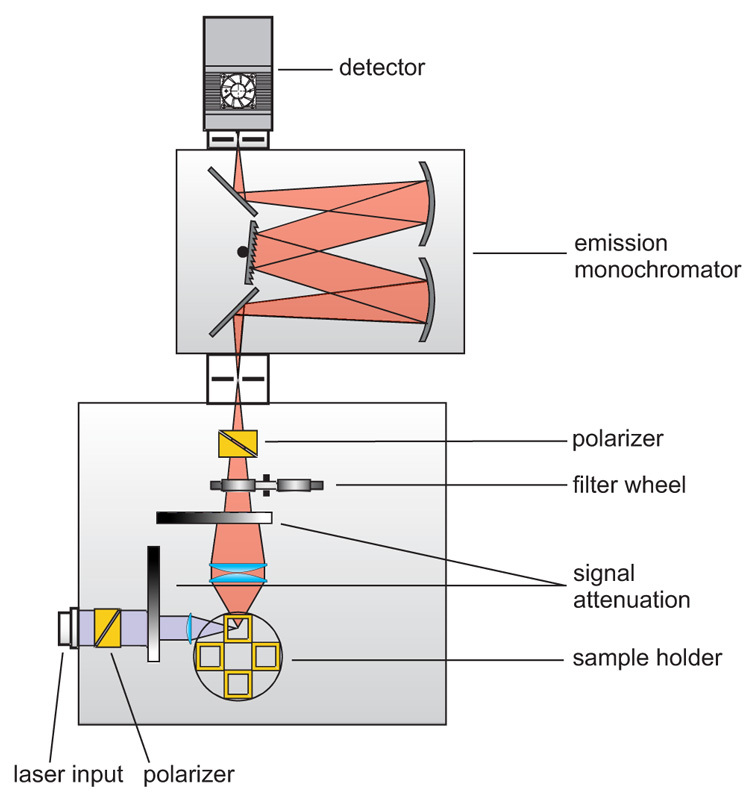 The sample is excited by a pulsed laser, LED or Xe-flash lamp in time-resolved experiments, or by a Xe lamp or a cw laser in steady-state experiments and the emitted emission is detected by using a UV/Vis sensitive detector after emission wavelength selection by a monochromator. For lifetime measurements, either Time-Correlated Single Photon Counting (TCSPC) or Multi-Channel Scaling (MCS) is used for data acquisition. 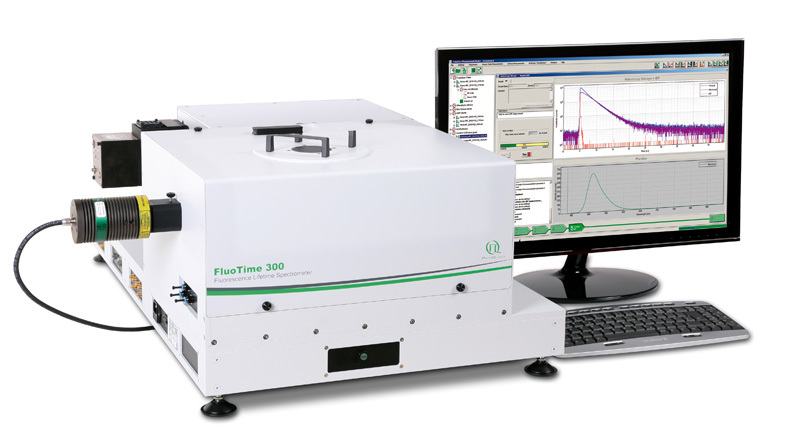 The FluoTime 300 “EasyTau” is a fully automated, high performance fluorescence lifetime spectrometer with steady-state and phosphorescence option. 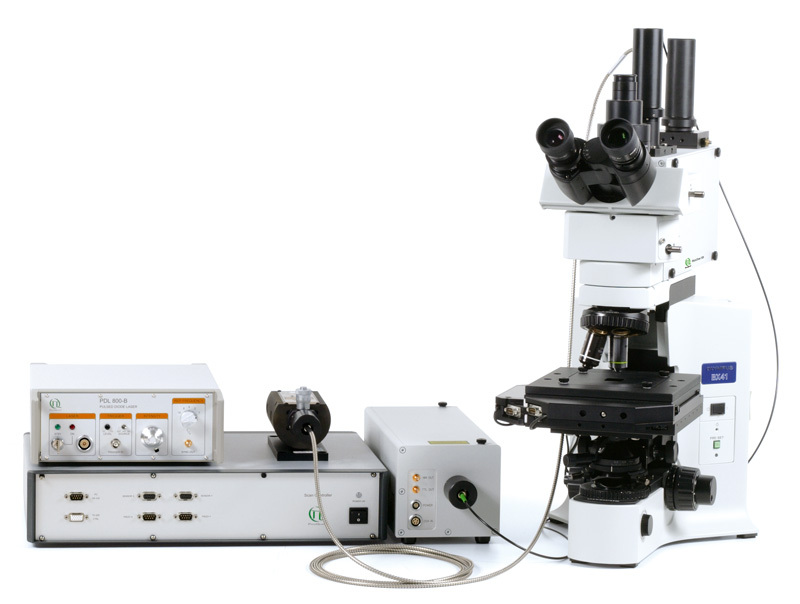 It contains the complete optics and electronics for recording fluorescence decays by means of Time-Correlated Single Photon Counting (TCSPC) or Multichannel Scaling (MCS). The system is designed to be used with picosecond pulsed diode lasers, LEDs or Xenon lamps. Multiple detector options enable a large range of system configurations. With the FluoTime 300 decay times down to a few picoseconds can be resolved. 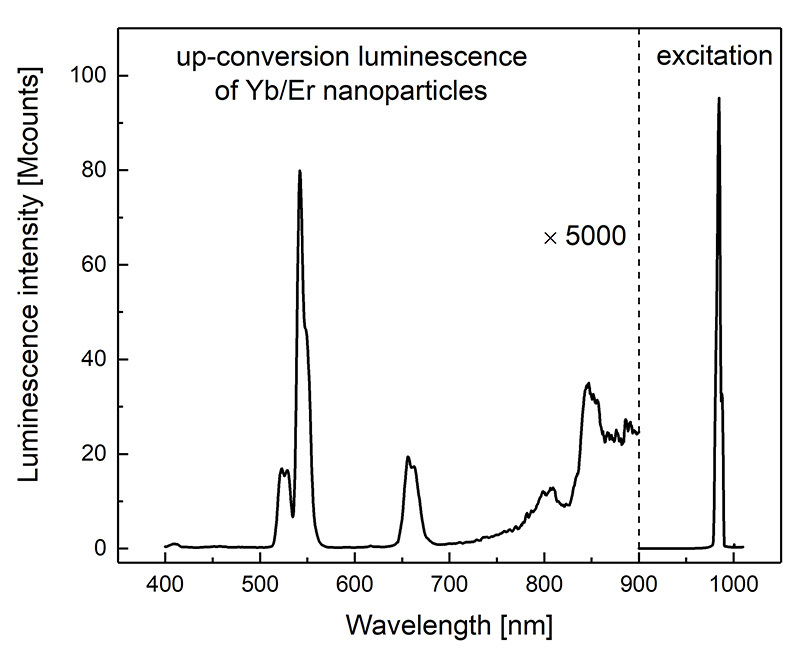 The luminescence of Yb3+/Er3+ upconversion nanoparticles was measured using Vis-NIR R2658P PMT detector integrated in FluoTime 300 spectrometer upon excitation at 980 nm. 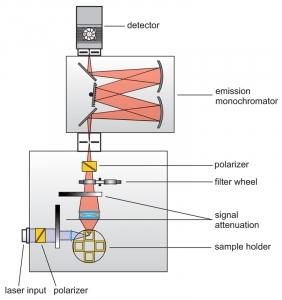 The combination of this detector which spectral sensitivity covers the spectral range between 200 and 1010 nm with FluoTime 300 allows to detect both upconversion luminescence of the lanthanide-doped materials and the excitation peak. This in turn makes it possible to measure the absolute upconversion luminescence quantum yield when the FluoTime 300 spectrometer is equipped with the integrating sphere. Steady-state and time-resolved luminescence upconversion of NaYF4:Yb/Er nanoparticles in acetonitrile was measured using the FluoTime 300 spectrometer with excitation at 980 nm (for time-resolved measurements burst excitation mode was used). The luminescence decay was detected at 540 nm.